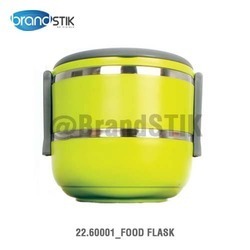 A 1l double walled insulated flask with screw on lid cup . Great to carry ice cream which does not melt for hours. Also carry hot beverages, soup, baby food and milk. We are engaged in offering a wide range of Flasks for the clients. These are fabricated using premium quality borosilicate glass. Moreover, these flasks are used for various stirring, mixing and heating applications. Furthermore, our customers are eased with the availability of these conical flasks in different sizes and at competitive prices.